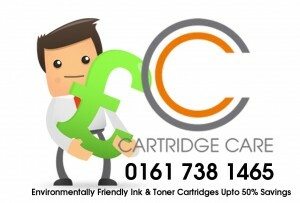 Cartridge Care supply compatible versions of the HP 203A toner cartridges Manchester. Also known as CF540A, CF541A, CF542A, CF543A. Cartridge Care supply compatible versions of the HP 203X toner cartridges Manchester. Also known as CF540X, CF541X, CF542X, CF543X. This entry was tagged CF540A Toners Manchester, CF540X Toners Manchester, CF541A Toners Manchester, CF541X Toners Manchester, CF542A Toners Manchester, CF542X Toners Manchester, CF543A Toners Manchester, CF543X Toners Manchester, HP 203A Toners Manchester, HP 203X Toners Manchester, HP Colour LaserJet Pro M254dw toner cartridges Manchester, HP Colour LaserJet Pro MFP M280nw toner cartridges Manchester, HP Colour LaserJet Pro MFP M281fdn toner cartridges Manchester, HP Colour LaserJet Pro MFP M281fdw toner cartridges Manchester, HP Colour LasM254nw toner cartridgeserJet Pro Manchester, HP Toner Cartridges Bolton, HP Toner Cartridges Bury, HP Toner Cartridges Leigh, HP Toner Cartridges Manchester, HP Toner Cartridges Stockport. Bookmark the permalink.